International Capital Markets (IC Markets) the world’s fastest growing Forex and CFD broker has recorded record volumes on its ultra low latency True ECN forex trading account in the month of August. IC Markets have added 18 CFDs to the 41 currency pairs and metals on their True ECN Forex trading account. Since their introduction IC Markets has seen new client account applications grow by 32%. The growth in client numbers has once again resulted in record trading volumes for the company in the month of August, up 41%, this represents 12 consecutive months of double digit growth. Regulated in Australia by ASIC, IC Markets is well known for being the leader in the industry for ECN forex trading. 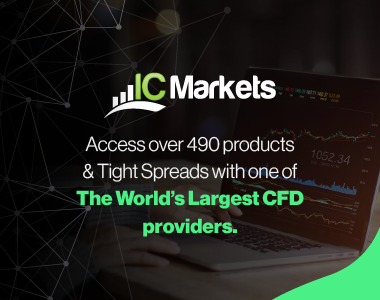 IC Markets True ECN account combines unrivalled trade execution speeds and unmatched connectivity with some of the tightest spreads available globally, making IC Markets the forex broker of choice for active traders and scalpers alike. 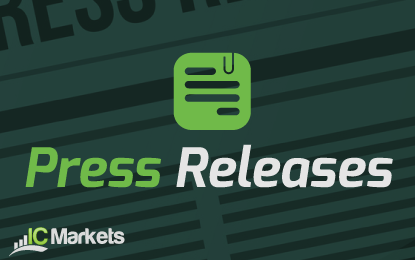 Andrew Budzinski, IC Markets Managing Director said: “Commitment to our clients has made us the forex broker of choice for active day traders and scalpers and we are pleased to see that they have embraced our CFD offering now available on our Metatrader 4 True ECN platform”. IC Markets CFD range consists of 18 different index CFDs, commodities and futures contracts covering 9 different markets globally. Amandine Bonhoure, IC Markets Operations Manager said: “IC Markets CFD offering covers all major indices globally appealing to our 40,000 clients around the world in 59 different countries”. “We are committed to our clients and will continue to expand our product range and innovations to cater for the needs of traders around the world, it is for this reason we are one of the world’s fastest growing forex brokers”. IC Markets index CFD spreads start at as low as 0.5 pips for the S&P ASX 200 and E-mini S&P 500 index CFD, with spreads from 1 pip for the Dow Jones, FTSE 100 and DAX CFDs. The addition of CFDs to IC Markets True ECN account allows traders to diversify their portfolio and trade commodities such as gold, silver and oil, in addition to engaging in a variety of different correlation strategies. Hosted in the Equinix NY4 data centre, located 11 miles from Wall Street, IC Markets Metatrader 4 True ECN forex and CFD platform offers ultra low latency trading allowing traders the ability to hedge, scalp, and use any type of automated or manual trading strategy. There are no restrictions in place as to how close stop loss or take profit orders can be placed to the current market price. IC Markets is the preferred broker for automated trading in Australia and globally. A Metatrader 4 True ECN forex and CFD trading account can be opened with a starting deposit of $200. The platform can be accessed from an iPad, iPhone and Android mobile phone. Headquartered in Sydney, International Capital Markets Pty Ltd is a provider of online forex and CFD trading services, offering individual traders, money managers and institutional customer’s proprietary technology, tools and education to trade online. IC Markets has distinguished itself among industry leaders with its unique ECN forex technology, proprietary tools and services, and remarkable focus on customer service. With group turnover well exceeding forty billion each month the company is one of the leading brokers in Australia. IC Markets is regulated by the Australian Securities and Investments Commission in Australia.